Regardless the controversy that the term Multi-Level Marketing (MLM) or Network Marketing brings to mind when mentioned in a conversation, the success of such an industry cannot be denied at the moment. The long existence of multitudes of MLM organizations is a wonderful indicator that network marketing is here to stay and flourish. As such, additional people are trying to join the bandwagon, building their own MLM . But, a lot of people are completely misguided or misinformed resulting into the collapse of several network marketing businesses. 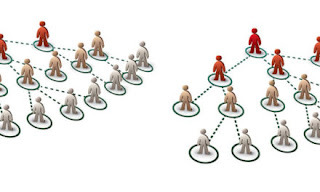 True that it is difficult to maintain multi-level marketing that could proliferate well, but undoubtedly there is one key component for a network marketing organization's success, and that is a duplicating downline. Most people do not know how to build a duplicating downline, but hopefully with the tips to be presented, one may be able to gather a well generating force that almost immediately translate into a productive MLM business. 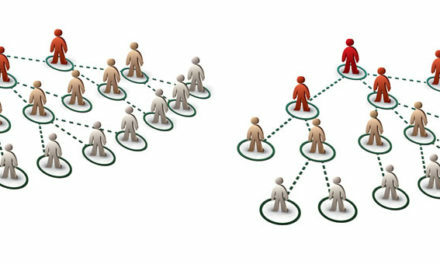 Multi-level marketing certainly entails leadership, specifically when building a downline. Since building a downline is only another designation for the recruitment process, great people management skills is important in order for the downline to operate well, and thus duplicate. A lot of people think that network marketing is a self-generating business, but if that was the case, then no MLM organization would have had failed. Downlines certainly not duplicate on their own, even if the product being marketed is perfect. The people in the downline are to be trained and mentored well or else the business would take no direction and would lastly fall flat. The person on top of the downline may be able to sign multitudes, but that does not guarantee duplication. Without a clear direction, the network would not expand towards success, but instead be paralyzed. The ones on top may easily put the blame on the ones at the bottom, but who recruited the people down there anyway' Managing a multi-level marketing organization entails a lot of generosity and selflessness. Duplicability is after all not just the expansion of people in number, but the duplication of the success throughout all the people in the downline. It is a sad fact in human life that a lot of people think only for themselves. The people on top could think only of their success and see the ones under as nothing but machines to propagate the success. But that cannot happen in multi-level marketing. In order for the top to succeed, the bottom should be able to succeed as well. When building a downline, one should have a mindset that allows the success to trickle downwards, and not just to remain on top. The founder of the network marketing organization should be very conscious that what he or she was able to do, the people in the downline could do perfectly as well. There should be no secrets within the organization for the downline to duplicate. The topline should be able to share and teach the downline the same philosophies and techniques so that the success of the top could be replicated by people in the downline. Building a duplicating downline actually means duplicating one's self. This means that when building a downline, one does not just inform people how to sell, rather, one influences or even infects others with one whole self, well at least just the business component of one's self. When building a downline, one has to transmit the psyche of the top to the bottom, the bottom should be able to act in the same way as the ones on top.The downline ultimately becomes one with their organizer or founder, they should be able to share the same dreams, anxieties and hopes so that the success that the ones on top experienced would be replicated by the ones on the bottom. This speaks a lot about the recruitment process itself. True that is hard to enlist exact copies of the founder, but one has to carefully enjoin individuals who have the capacity to act and think in the same wavelength as the recruiter. In this light, the leader of a network marketing organization should reflect and see how the connection with the downline, or the prospective downline is. First one has to be sure if the people in the downline could relate with the leader and vice-versa. Duplication is unachievable without proper relation. Second, the leader should act in a way that is not so alienating to the downline, otherwise they might think too highly of the leader that they might assume they would never be able to be like him or her. Again a duplicating downline should have a duplicable top. With this in mind, building a duplicability can be ensured as well as the success of the business.